you also get TWO DAYS CLASSROOM WORKSHOP @ any AFA Center in New Delhi | Kolkata | Lucknow | Patna | Jaipur | Jamshedpur | Ranchi | Ahmedabad | Bhubaneswar | Raipur | Bhopal | Hyderabad. Available only for those who cleared the first phase of NIFT 2019 and qualified for the Situation Test 2019. 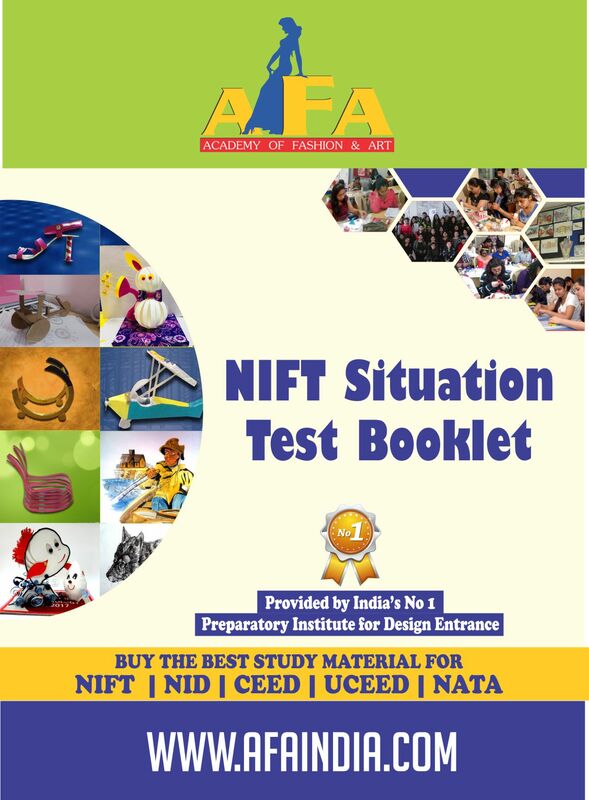 Situation Test Practice Book is "your sure shot chance to gain maximum marks" in the NIFT situation test. A Practice book with complete theory and practical knowledge with graphic models making solutions of all types, set in stages to develop your model making skills that will help you to make models accurately in time. .
From Brainstorming, material requirement, conceptualizing to the Final conceptual 3D model design everything is provided with visual details. Learn from basic geometrical forms creation to their use in the complex and intricate models. Concept build up for planning and execution of models. Use of given materials aptly from scratch to create ultimate 3D model solutions. More than Ten Solved NIFT Previous Year questions with complete functional drawings and writeup. Techniques involved in making various types of models in given time. Practice questions with conceptual guidance are provided in it. Guidance for model write up with best examples. Aesthetic sense and skills developing model examples. Undestanding the basic Evaluation Criterion of the Exam. Enhances your understanding of Model Functionality and Space Utilization. Unconventional and uniques model pictures. TWO DAYS CLASSROOM WORKSHOP @ any AFA Center in New Delhi | Kolkata | Lucknow | Patna | Jaipur | Jamshedpur | Ranchi | Ahmedabad | Bhubaneswar | Raipur | Bhopal | Hyderabad. Free material kit which includes variety of material which are similar to actual Situation Test. Designed and delivered by NID, NIFT and other top art and fashion institutes Alumni. Real, practical and hands on use of the tools and techniques. Immediate help and support is given with correcting mistakes and getting it right. 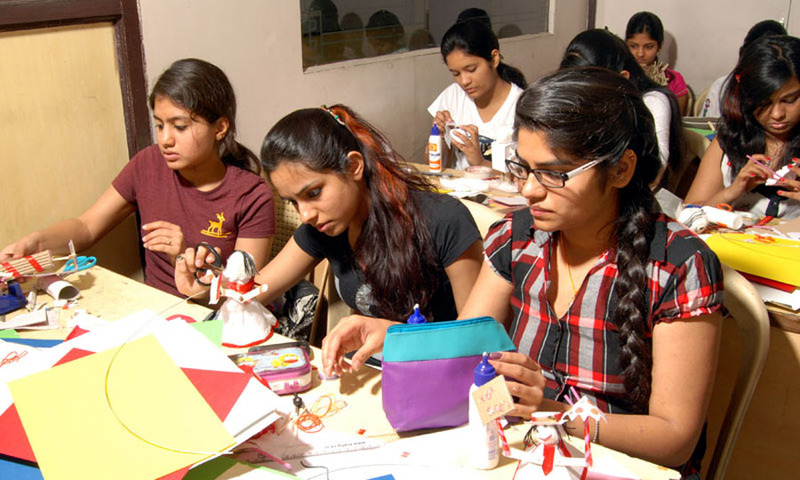 10 Days Crash Couses for NIFT Situation Test Start from in 1st April at AFA Center in New Delhi | Kolkata | Lucknow | Patna | Jaipur | Jamshedpur | Ranchi | Ahmedabad | Bhubaneswar | Raipur | Bhopal | Hyderabad. Feature for NIFT Situation Test Workshop. Solving the actual question under the guidance of faculties. Tips on effective way of planning and execution of work.